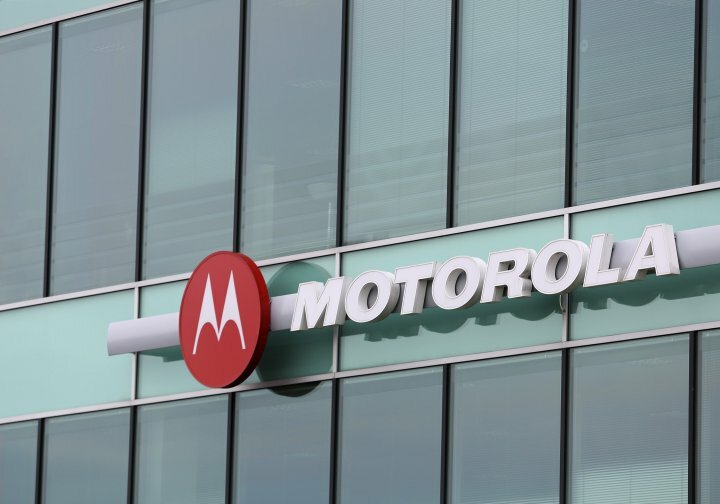 Though this is the story of a tragedy, it deserves to be mentioned, because Motorola played a great role here and actually helped those injured. Some weeks ago, there was an explosion at Didion Milling. 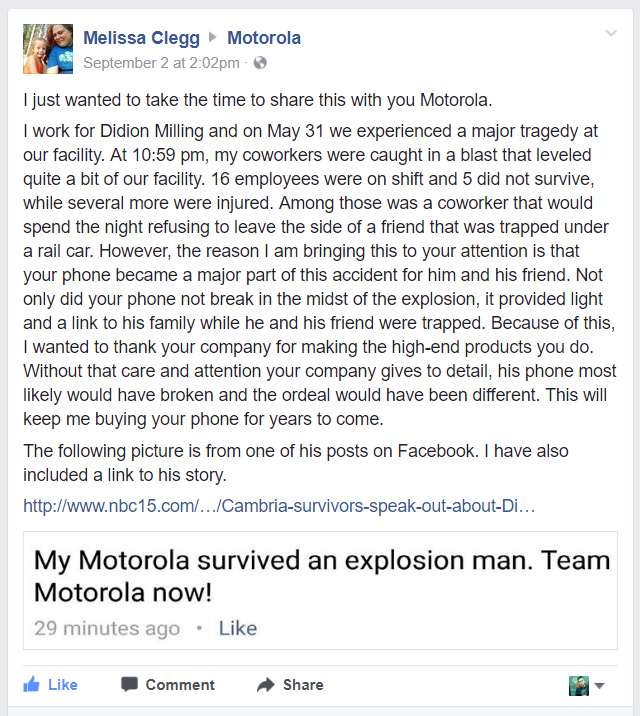 One of the co-workers shared his story on Motorola's facebook page, and according to him, the tragedy killed 5 people and injured many more, but a Motorola phone was there to help two co-workers. One of them was trapped under a rail car and the other one refused to leave his friend. The Facebook poster says the Motorola phone not only survived the explosion and gave them light while being trapped, but also provided them a way to communicate with their families in the midst of this tragedy while still being trapped. Both the poster and the co-worker say they are "Team Motorola" now because the phone was durable enough to resist an explosion. He promises to buy Motorola phones in years to come because of what happened.